Whether you leave the toilet seat up or down, we can all agree there are certain things which should never be flushed down the toilet. As part of the United Nations-recognized World Toilet Day on Monday November 19, York Region is tackling the conversation on clean water and sanitation by reminding residents there are only three things you should flush down the toilet – number “1”, number “2” and toilet paper. In York Region we are fortunate to have access to safely managed sanitation. And the Region remains committed to protecting our water sources and infrastructure for having clean, safe, affordable water for our growing communities. The fact is wastewater is produced every time we take a shower, do laundry or flush the toilet. This water is collected in sewers and treated at wastewater plants to remove contaminants before being returned to the environment. Highly trained York Region staff operate and monitor these systems all day, every day, performing thousands of tests to make sure our water is safely returned to the lake. Many of us know we should never flush wipes or sanitary products down our toilets, but did you know you should never flush floss, facial tissue, fats, oils or grease? Flushing any of these items down toilets and drains can lead to backups in our homes, problems at our wastewater treatment facilities and can even cause sewage to overflow into our lakes and rivers. 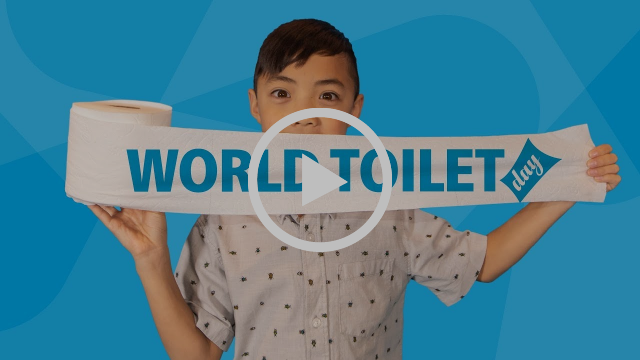 Watch as these kids share the important message of what can be flushed down the toilet. So when nature calls, let’s be kind to our toilets and the pipes used to carry away our bodily waste and put these other items where they belong – not down our drains.